Although the U. S. population exceeded 12 million, only about 5% lived in the ten largest cities in 1830. Most Americans lived in sparsely populated areas where they rarely encountered restaurants — nor could they afford them. Nonetheless, those who did patronize “restaurants” – then more likely to be called restorators, refectories, restaurats, eating houses, coffee houses, or victualing cellars – noticed a growing French influence grafted onto the predominant plain English style of cooking. 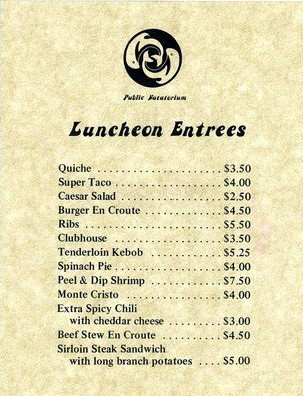 The word “restaurant,” when used in this decade, usually had the modifier “French” preceding it. 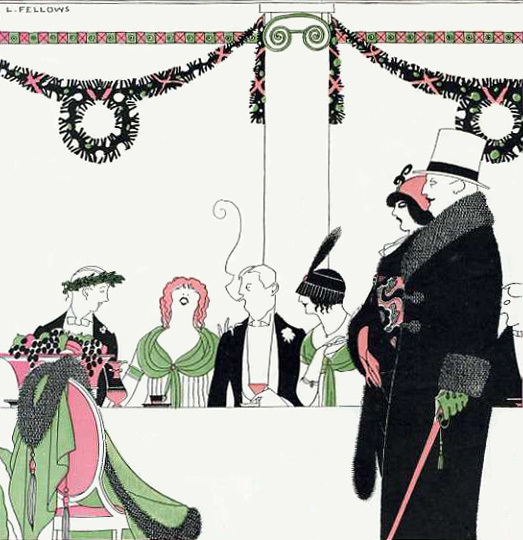 To the relief of diners, it was becoming easier to find eating places that would serve dishes a la carte at the hour the diner wished to eat rather than having a pre-determined meal served only at set hours. 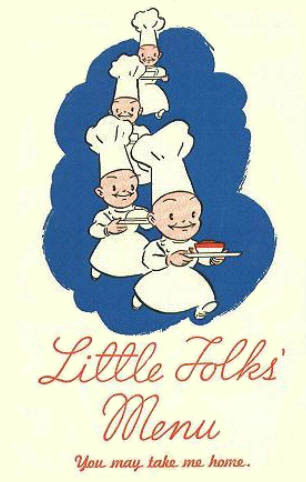 At most eating places the three F’s dominated menus: Fish, Flesh, and Fowl. 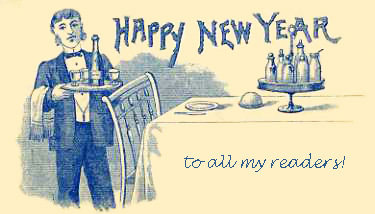 And, of course, oysters were tremendously popular with all social classes. 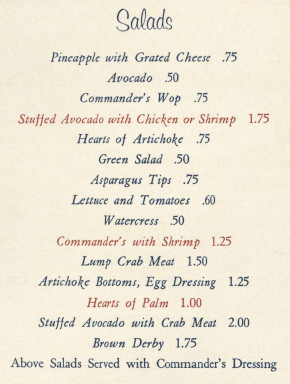 Occasionally, a restaurant offering a more varied bill of fare could be found, such as that at Robert G. Herring’s American Coffee House in Philadelphia that includes Green “Pease,” String Beans, Lobsters, Frogs, Sardines, Anchovy Toast, Omelet with Asparagus, and Strawberries and Cream. At the same time a spirit of abstemiousness was spreading as people rejected “ardent spirits” such as gin, rum, whiskey, and brandy. Temperance followers also condemned restaurants themselves, viewing most of them as “grog shops.” During the cholera pandemic of 1832, some temperance advocates went so far as to blame the high death rate among the poor not on urban filth and polluted drinking water, but on alcohol consumption, particularly by Irish immigrants. In the larger cities, New York especially, many couples and families chose to live in hotels and boarding houses rather than run their own households, finding it both cheaper and easier. Others, who lived in their own residences, took their meals in nearby hotels or had them delivered by a restaurateur. Two English women who visited this country wrote scathing accounts of life here, painting Americans as shallow, grasping, and dull. 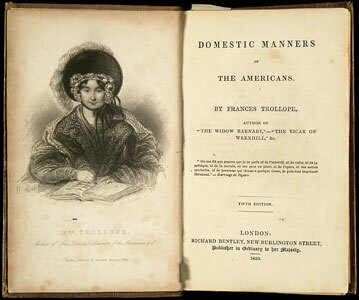 In Frances Trollope’s Domestic Manners of the Americans, she observed how American conversation frequently included the word “dollar,” and also noted, “They consume an extraordinary quantity of bacon.” The actress Fanny Kemble’s Journal (1835) included among its “vituperative remarks” criticism of New York hotels and their rigid meal schedules. 1831 After visiting the dining room of the recently opened Tremont House in Boston, a Baltimore man writes that he finds it an “essential improvement in tavern keeping” that everyone dining there receives a bill of fare listing all dishes to be served at that meal. Otherwise, he comments, a diner departing from the dining hall usually discovers favorite dishes placed on another part of the long shared table that never made it to him. 1832 In Domestic Manners of the Americans, Frances Trollope asks why Americans are so fond of boarding in residential hotels: “What can induce so many . . . citizens to prefer these long, silent tables, scantily covered with morsels of fried ham, salt fish and liver, to a comfortable loaf of bread with their wives and children at home?” she writes. 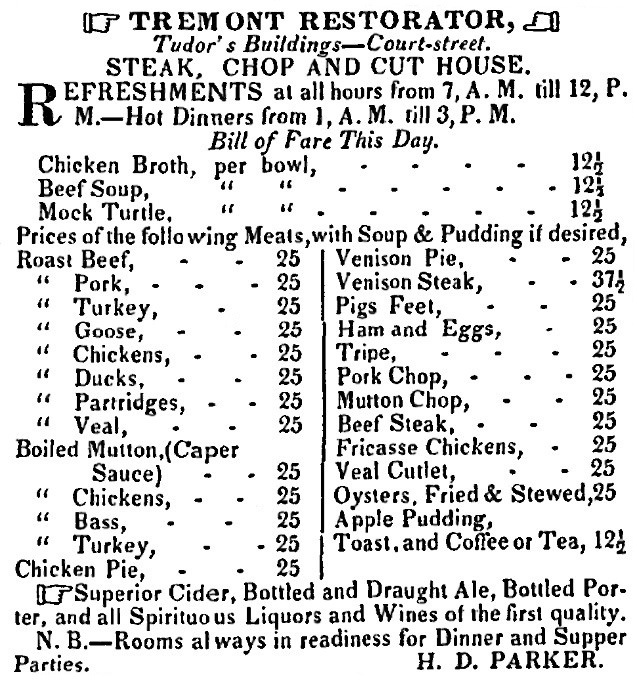 1833 Harvey D. Parker – who will establish the luxury Parker House and Restaurant in 1855 — takes over the Tremont Restorator in a cellar on Boston’s Court Street and publishes the protein-rich bill of fare shown here. 1833 The owner of a new refectory on Whale Street in Nantucket advertises that he will provide Pies, Tarts, Custards, Oysters, Fish Chowder, Hot Chocolate, Coffee, Mush & Milk, Beer, and Cider, but that he has promised his landlord he will “keep no ardent spirits of any description for sale” even though he knows it will mean lower profits. 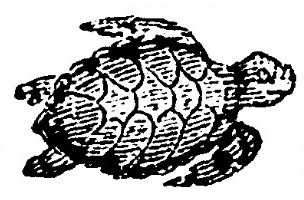 1835 The popular Alexander “Sandy” Welsh, president of the Hoboken Turtle Club and famous for his green turtle soup, expands his Terrapin Lunch in New York City and is now able to accommodate 150 seated in small groups. 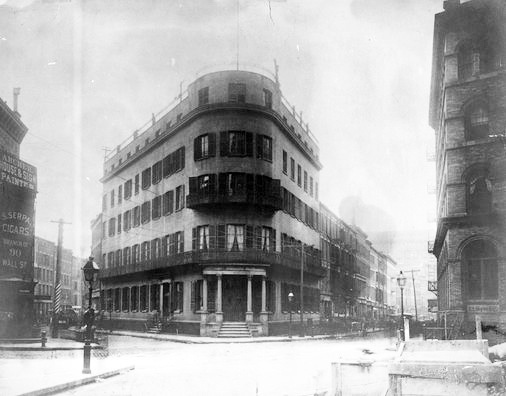 1837 Following the destruction of their restaurant on William Street in the great fire of 1835, the Delmonico brothers open a new 4-story restaurant on the corner of Beaver and William Streets. [1880 photo shown at top, demolished 1890] Visitors are overwhelmed with its magnificence, particularly its wine vaults that extend 180 feet under the streets and hold 20,000 bottles of imported French and German wine. The restaurant’s resplendence is all the more striking as the city suffers bank failures, worthless currency, and economic depression. 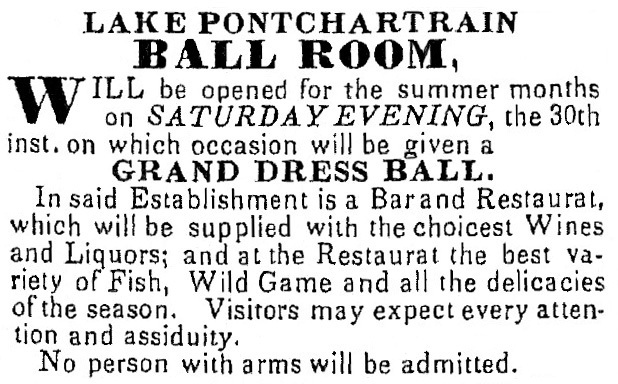 1839 At a “restaurat” in New Orleans, patrons attending summer balls are warned not to bring their guns. Until I moved to Boston in the 1980s and took a whale watch tour I hadn’t heard the boastful term “biggest grossing” thrown around. 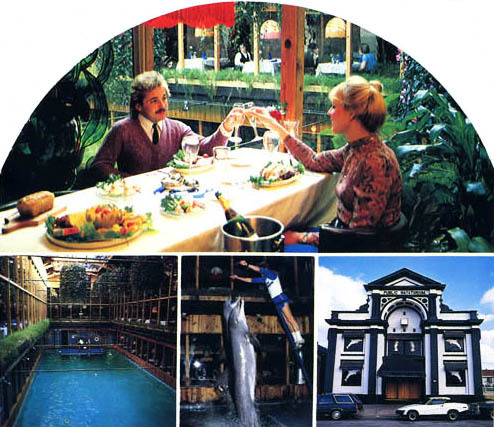 In pointing out the highlights of the Boston Harbor, the tour operator singled out several booming enterprises including Anthony’s restaurant. Had we been on a tour of Route 1 north of Boston, I’m sure he would have shouted the praises of the Hilltop Steak House, another mega-volume eatery, where a team of in-house butchers carved up millions of steaks a year, the parking lot held 1,000 cars, and customers waited in long lines outside the door. I never went there. 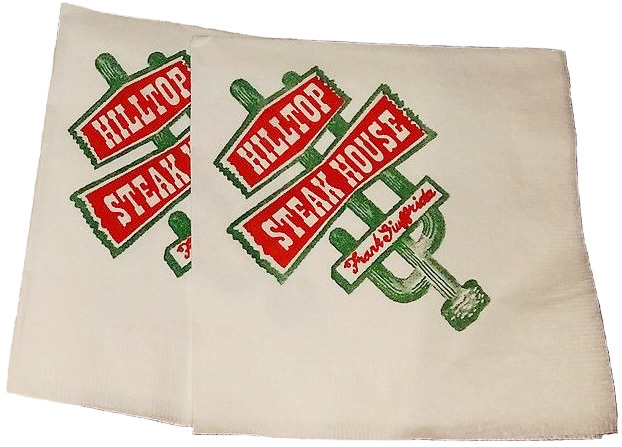 I was not one of the 2,350,000 or so customers who patronized the Hilltop in 1985, for example, one of a number of years when it ranked as the #1 independent restaurant in the USA from a high-grossing perspective, with over $24 million in annual sales. 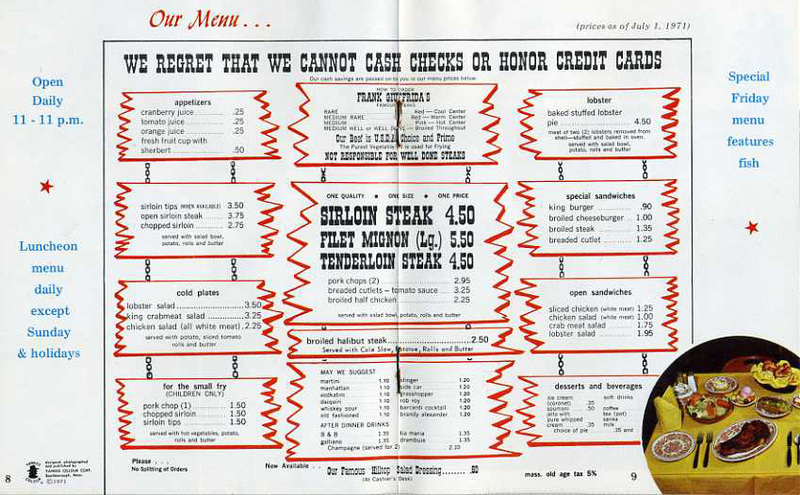 Established in 1961 with seating for 125, the Western-themed restaurant continued to grow in subsequent years, with more dining rooms brightened with the standard steakhouse blood red color scheme, seating 1,100 by 1970, with an enlarged parking lot, and a huge 68-foot high lighted cactus sign out front. Dining rooms were adorned with totem poles, reproductions of Remington and Russell paintings, and life-size Indian figures. The rooms had names meant to conjure up the Wild West such as Sioux City and Kansas City. 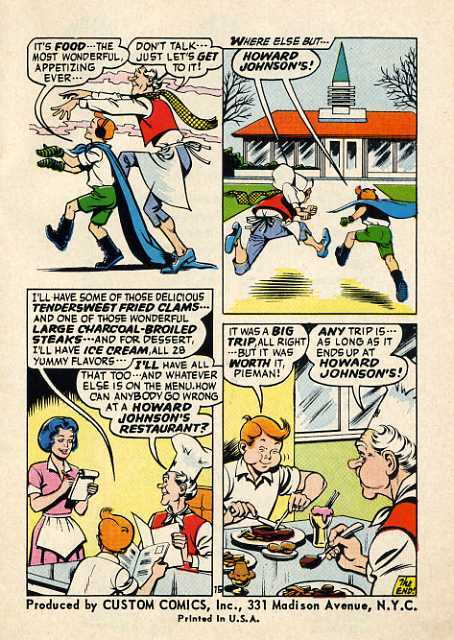 No doubt the names rang true to diners from New Hampshire and Massachusetts but would have amused residents of those Iowa and Missouri cities which are conspicuously lacking in Western symbology. 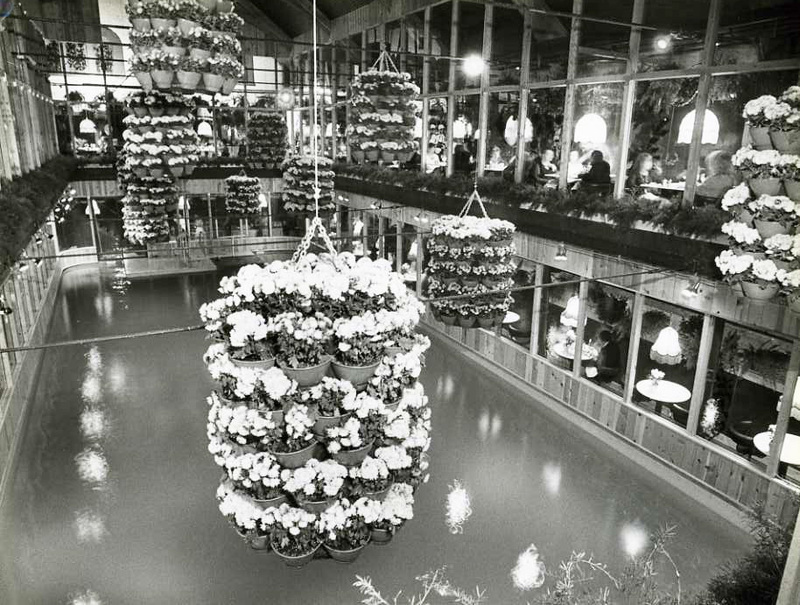 The restaurant was prominently visible on Route 1’s tacky, wacky restaurant row where other high-grossing restaurants were also located, making the roadway a New England phenomenon in its own right. The Hilltop’s location was conveniently near the Mystic Bridge, the Callahan and Sumner Tunnels, Logan Airport, the Southeast Expressway, and Routes. 128, 28, 3, and 93. Busses were welcome! 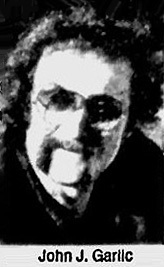 The Hilltop’s founder, Frank Giuffrida, owned the restaurant until 1988, retiring as a rich man despite never having attended high school. In 1940, when Frank was 23, he was a butcher in the family meat market. His parents were born in Italy and had once toiled in a Lawrence MA woolen mill. In the 1950s he owned a tavern-style eatery called the Hilltop Lounge not far from where the steakhouse would be located. 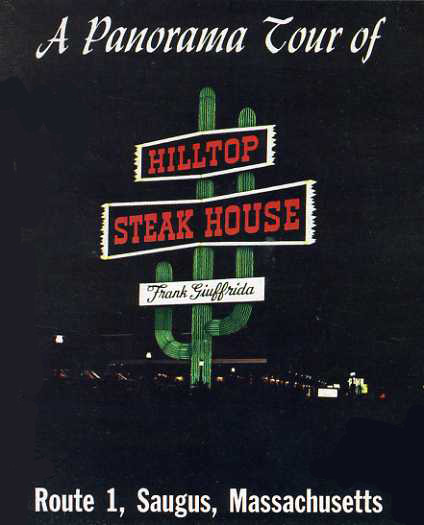 Frank sold the Hilltop corporation in 1988 though he held onto the building and the large plot of land it occupied. The sale came with an agreement that the Giuffrida family would eat at the restaurant for free for the rest of their lives and that they would never have to wait in line for a table. By the late 1990s restaurant competition on Route 1 had grown fierce. Weylu’s, another Route 1 top-grosser serving as many as 5,000 meals a day at its peak, went into bankruptcy in 1999 and closed. The Hilltop shrank its seating capacity to a mere 850 guests, but carried on until 2013. 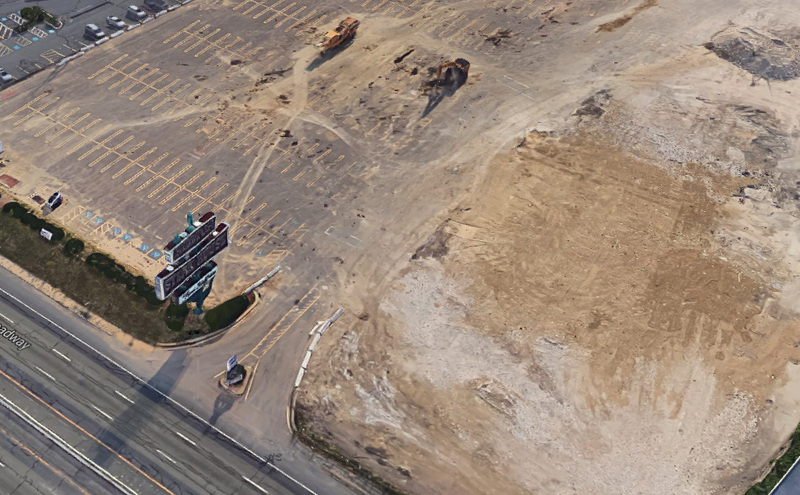 Both Weylu’s and the Hilltop have been demolished. People living along the Gulf of Mexico are probably familiar with this designation but I remember being quite surprised the first time I came across it. Given that “wop” is an offensive slang name for Italians, my first reaction was, Please don’t tell me it means that! It does. It’s another way of saying Italian salad. 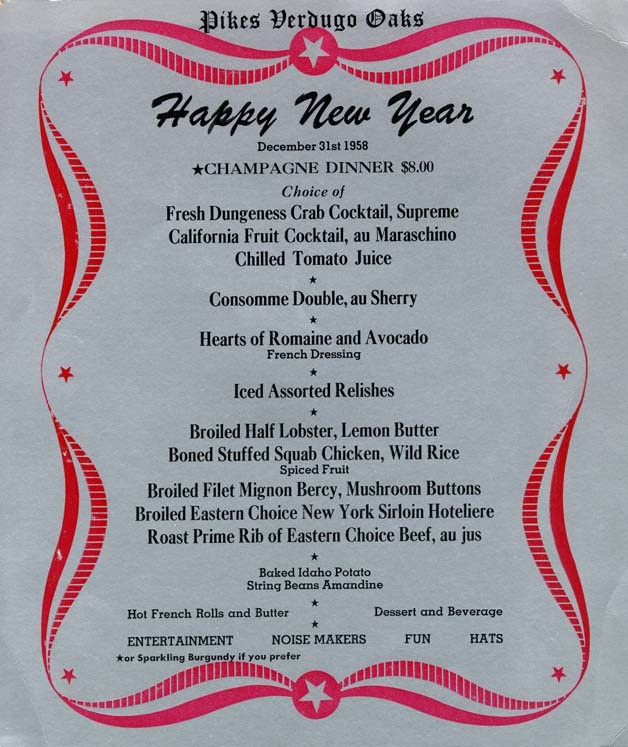 “Wop salad” could be found on menus from the 1930s even into the 1980s in certain regions. Its use was frequent in Louisiana, Texas, and Mississippi, especially along the Gulf. It was most closely identified with New Orleans, but was also used in Baton Rouge, Shreveport, Corpus Christi, Galveston, San Antonio, Biloxi, and to a lesser extent Little Rock, Arkansas. I have also found the term in use by restaurants in various other states, but quite rarely. The salad had many variations. Among the possible ingredients [some pictured above] are iceberg lettuce, endive, escarole, white onions, tiny pearl onions, shallots, garlic, boiled eggs, black olives, green olives, pickles, celery, radishes, sweet peppers, pimientos, avocados, artichoke hearts, tomatoes, asparagus, anchovies, and grated cheese. Dressings could contain combinations of some of the following: olive oil, vinegar, mayonnaise, Worcestershire sauce, and lemon. Despite my negative response to the name, the general reaction today seems to be mild amusement coupled with dismissal of the notion that it could be taken as truly offensive. Most defenders will quickly point out that Italian-Americans in New Orleans used it too and it could be found as often on the menus of Italian restaurants as any others. 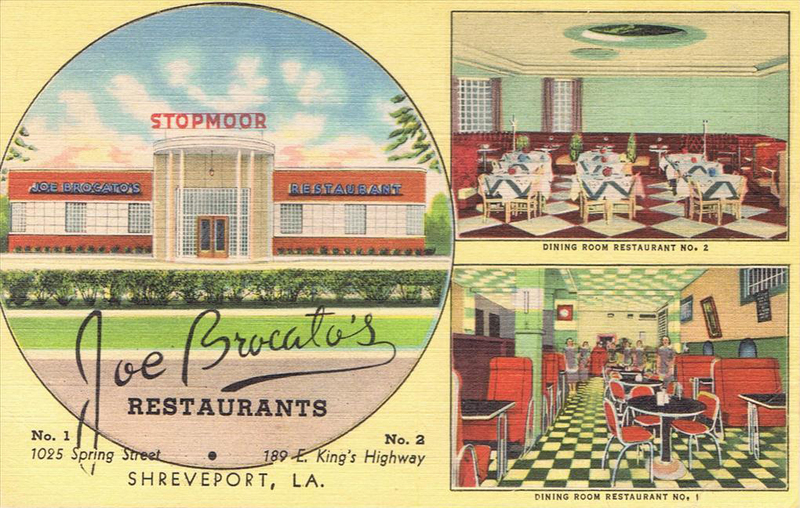 I have read the claim that Joe Brocato’s restaurant in Shreveport LA – which advertised it was “Home of the Wop Salad” — was the owner of the term and that anyone else who used it had to pay royalties. Call me skeptical. I’ve heard similar arguments about how Afro-Americans didn’t mind dressing up like mammies, loved working and eating at Sambo’s, etc. Historically New Orleans had more residents of Italian origin than other cities in the South. It was a port of entry into the United States in the 19th and early 20th centuries, and many Italians disembarked there. 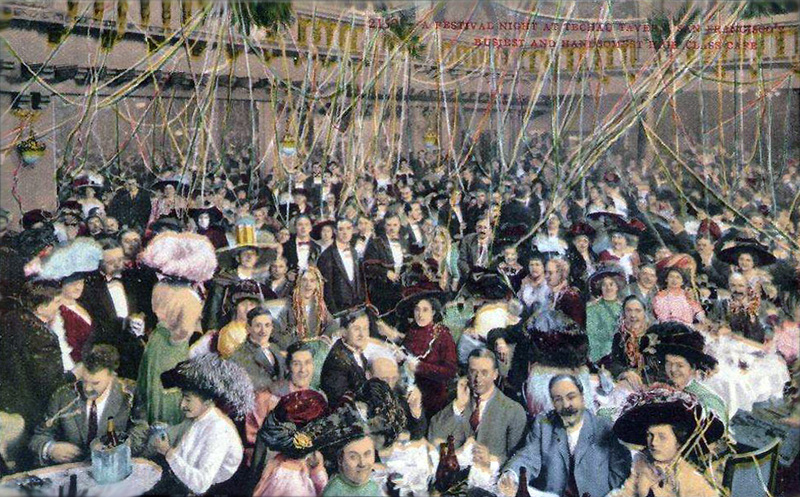 One day in October 1907, for instance, 1,300 Italians arrived, some of them wives and children of men in various parts of the country, but others migrants who came to work in Louisiana sugar cane fields; taking jobs once held by slaves and poor Blacks, they were very much looked down upon. And how long did Italians in New Orleans remember the lynching of eleven Italians there in 1891? The murders brought condemnation nationally and internationally and caused riots in Italian communities in NYC and Cincinnati. Yet Italians who settled in New Orleans went on to found successful businesses and become professionals and civic leaders there. Quite a few opened restaurants. To many people “wop salad” began to sound wrong in the 1980s. Journalists writing about restaurants in Southern papers became rather squeamish about using it, distancing themselves by putting it in quotation marks or referring to the term as “unfortunate.” But I cannot help but wonder how others, particularly those of Italian ancestry, felt about it during the decades it was commonly used. Did they think nothing of it? Did they find the name annoying but not worth making a big deal about? Did they feel insulted by it? 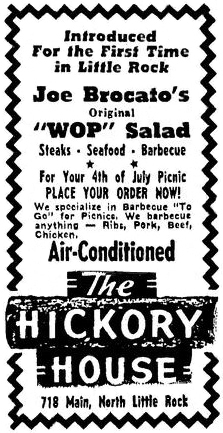 With the present cultural climate I halfway expect “wop salad” to resurface. Chocolate concoctions have always been found in the dessert section of restaurant menus. Right? You’ve already figured out that I’m going to say no. But, naturally, it’s a bit more complicated than that. Until the later 19th century the main form in which Americans consumed chocolate in public eating places was not as a dessert but as a hot beverage. In cheaper eating places, there was no fruit or nuts and dessert came closer to what we mean today, which is how I will use it for the rest of this post – referring to sweet dishes that come toward the end of the meal and are rarely nuts and usually other than simple fruit. 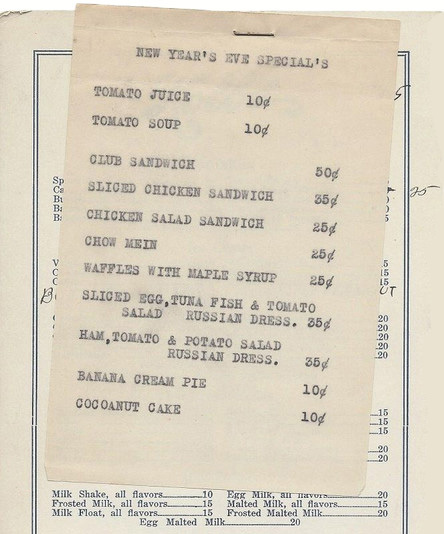 The absence of anything chocolate on the Hancock House menu was not unusual for that time. 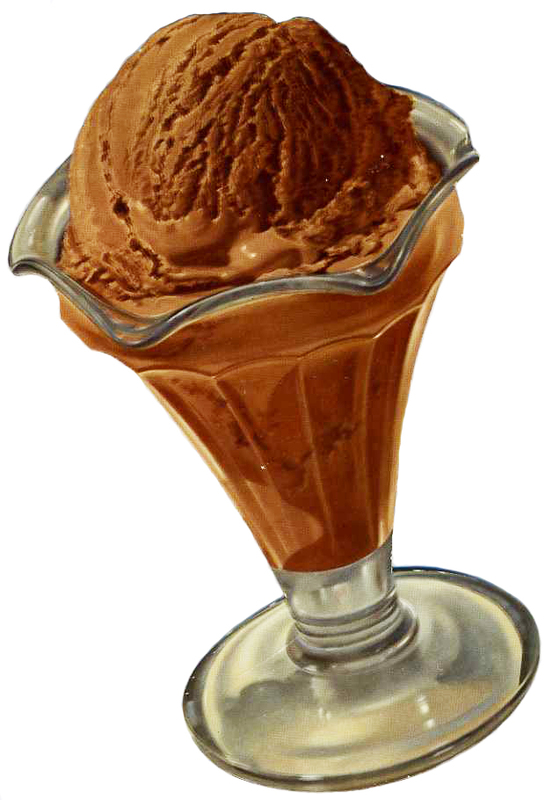 I looked at quite a lot of menus and the first instance of chocolate other than as a beverage that I found was chocolate ice cream in the 1860s. It was not too unusual to find chocolate eclairs on a menu in the later 19th century, and chocolate cake turned up in the 1890s. 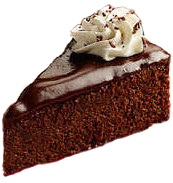 According to an entry in The Oxford Companion to Food and Drink, however, chocolate cake in the late 1800s could refer to yellow cake with chocolate frosting. 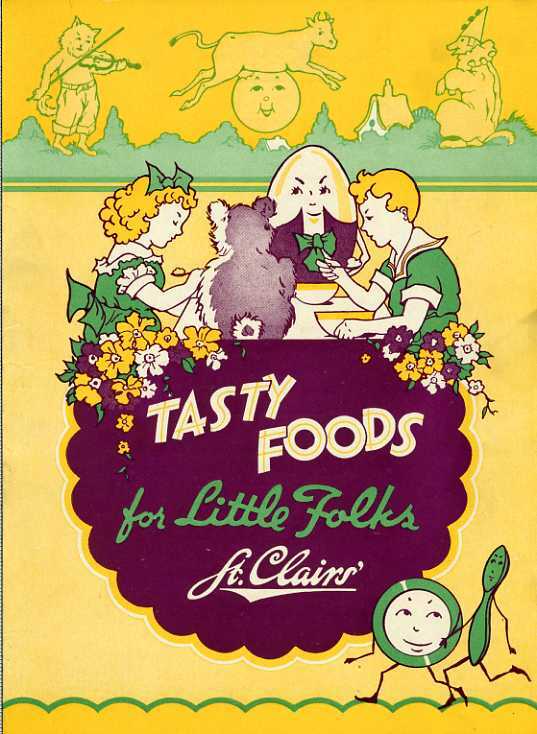 By the early 20th century chocolate appeared on menus in various forms: as pudding, layer cake, devil’s food cake, ice cream, eclairs, and ice cream sodas and sundaes. 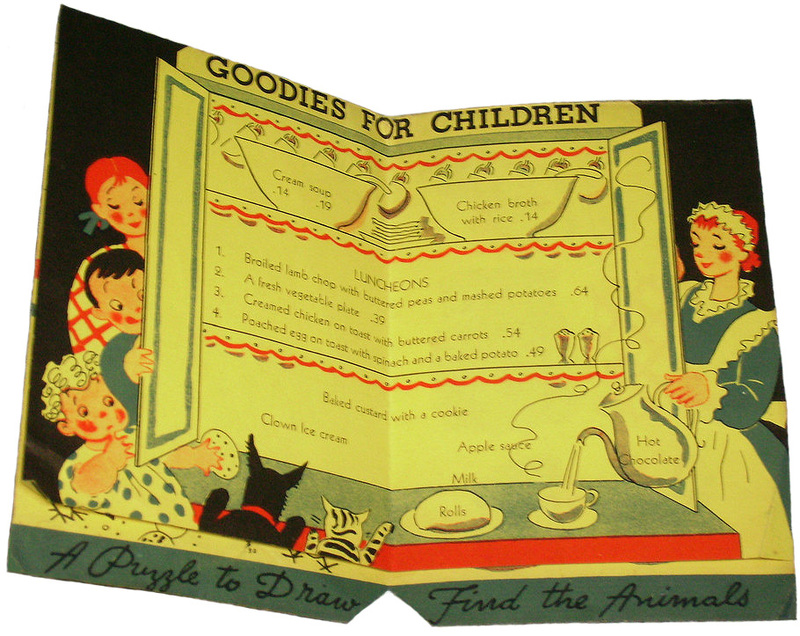 In the 1920s, chocolate shops appeared and were similar to tea shops. They offered light meals, desserts, and chocolate as a drink or as candy, and other desserts. They were popular with women, as were department store tea rooms, another type of eating place that was heavy on sweet things. 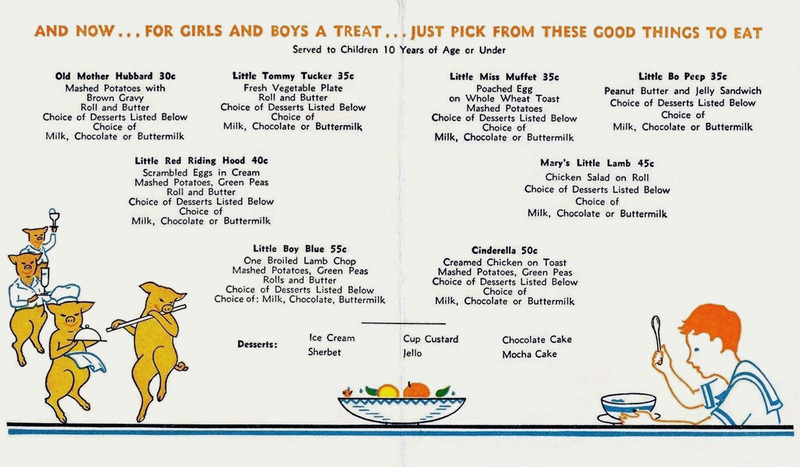 In the case of Shillito’s department store in Cincinnati, a 1947 menu offered quite a few chocolate treats. 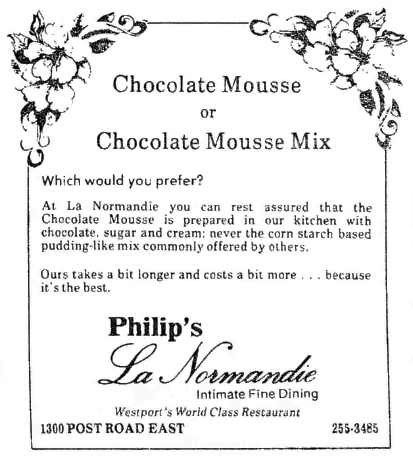 From restaurant reviews from the 1980s it’s noticeable that most reviewers jumped on the chocolate bandwagon with descriptions along the lines of “scrumptious” chocolate desserts “to die for.” But quite a few were critical, especially of chocolate mousse, which was readily available to restaurants powdered or wet, even “pipeable.” After a 1978 visit to a restaurant expo overflowing with convenience food products, the Washington Post’s restaurant reviewer Phyllis Richman observed, “The final insult of your dinner these days could be chocolate mousse made from a mix, but that is only another in the long line of desecrations in the name of chocolate mousse.” Often critical reviewers deplored chocolate mousse that tasted as if made of instant pudding mix combined with a non-dairy topping product, which very likely it was. “Chocolate Decadence” cake took a beating in a review by Mimi Sheraton who in 1983 no doubt irritated many chocolate lovers when she referred to the prevalence of “dark, wet chocolate cake that seems greasy and unbaked, the cloying quality of such a sticky mass being synonymous with richness to immature palates.” More recently, what I call a “fantasy escape” restaurant in upstate New York was cited unfavorably for serving a boxed cake provided by a national food service that it merely defrosted, sprinkled with fresh raspberries, grandly named “Towering Chocolate Cake,” and placed on the menu for a goodly price. Let the buyer aware, but no doubt many restaurant patrons do in fact realize that they are willing co-conspirators in fantasy meals. Along these lines, nothing can be too chocolate-y, triple obviously outdoing double. Decorations of some sort are de rigeur. Along with whipped cream, ultra-chocolate desserts might be adorned with orange rind slivers, raspberry sauce, or dripping frosting. 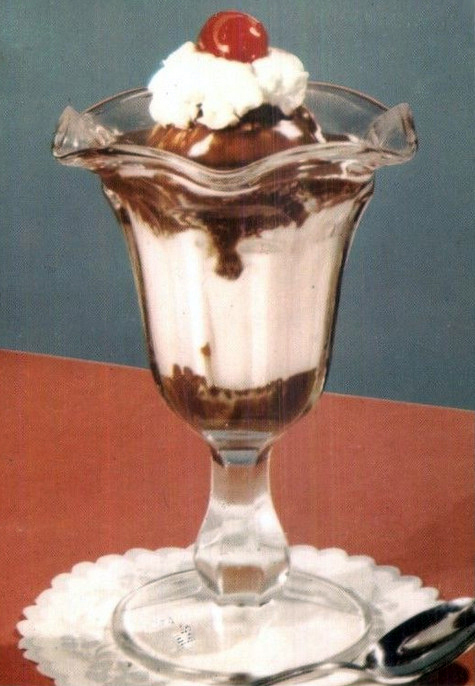 In 1985 the Bennigan’s chain brought their “Death by Chocolate” into the world, consisting of two kinds of chocolate ice cream, chopped up chocolate candy bars, a chocolate cracker crust, with the whole thing dipped in chocolate and served with chocolate syrup on the side. One theory about what brought about restaurants’ chocolate dessert blitz relates it to declining sales of mixed drinks in the 1980s as patrons became aware of the dangers of drinking and driving. 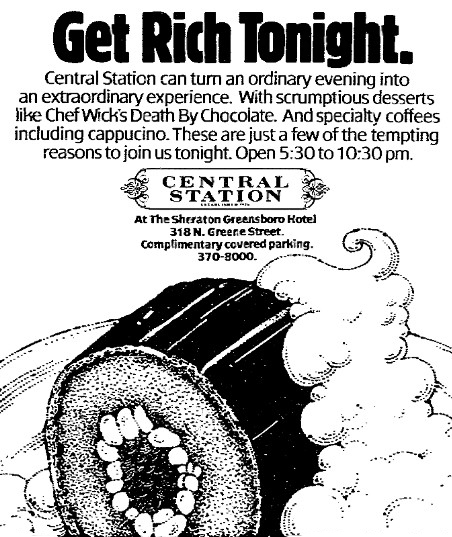 Then, according to a 1985 Wall Street Journal story, elaborate, expensive desserts offered a way to make up for lost cocktail sales. Fancy desserts are undoubtedly higher-profit items than many entrees, but I suspect that another major factor favoring the rise of ultra-chocolate desserts was the culture of consumer indulgence that increased restaurant patronage in the 1970s, 1980s, and beyond.